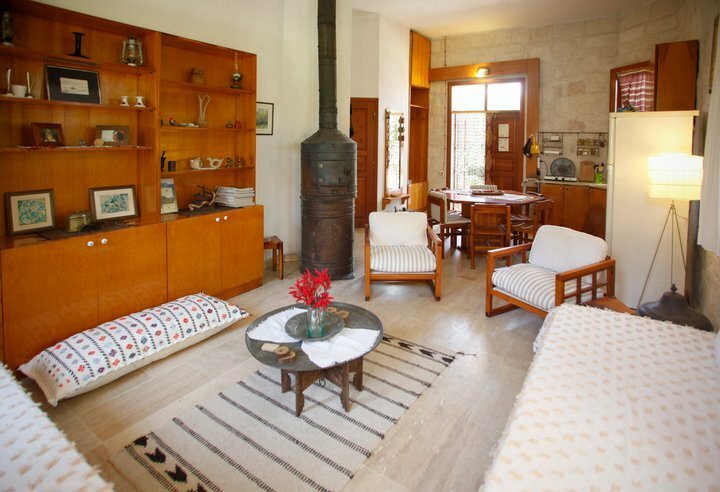 This house was built using local stone in 1986 by celebrated author Ali Halim Neyzi. 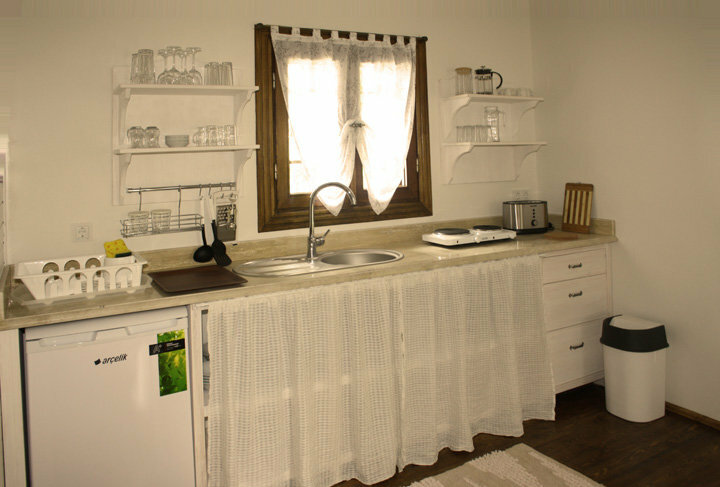 It is spacious and cool, even on hot summer days. 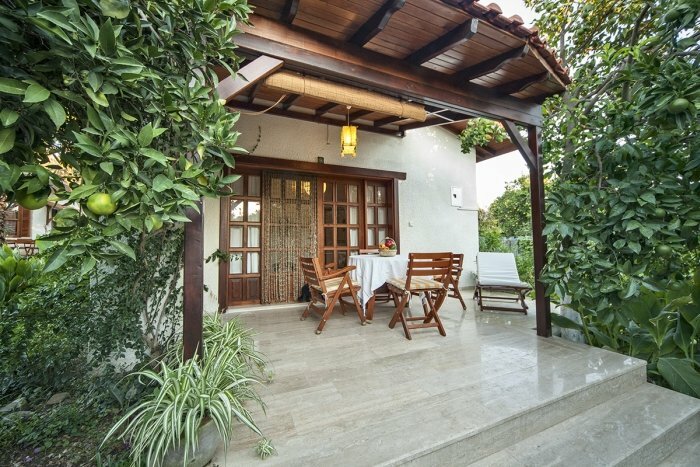 It consists of two double bedrooms, a living room with an open kitchen and two single sofa beds, and a stylish bathroom with shower. 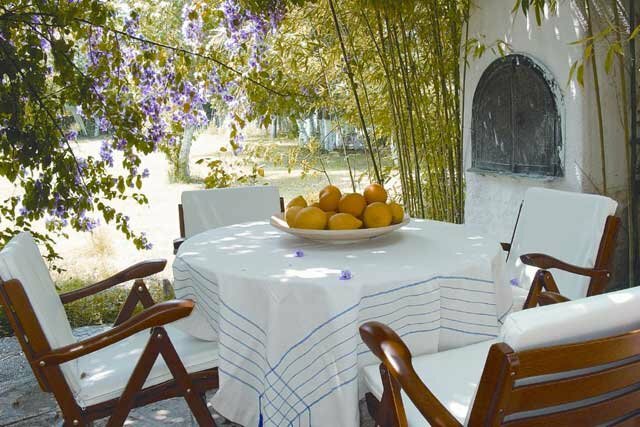 Outside is a very large private veranda with plenty of space for everyone to eat and relax. 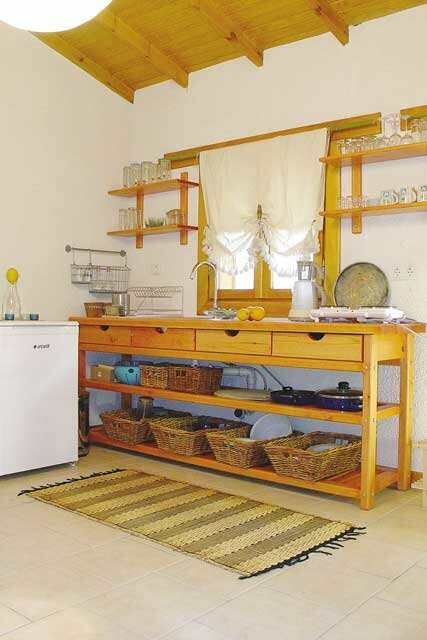 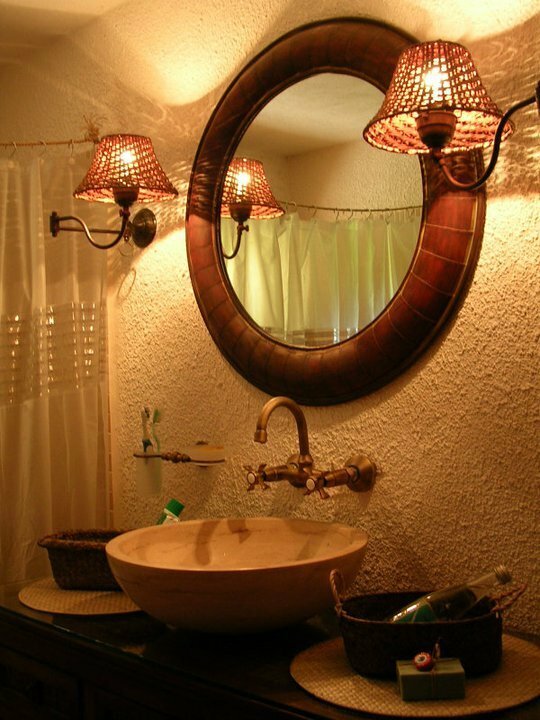 Perfect for a larger family or group seeking a peaceful self-catering holiday. 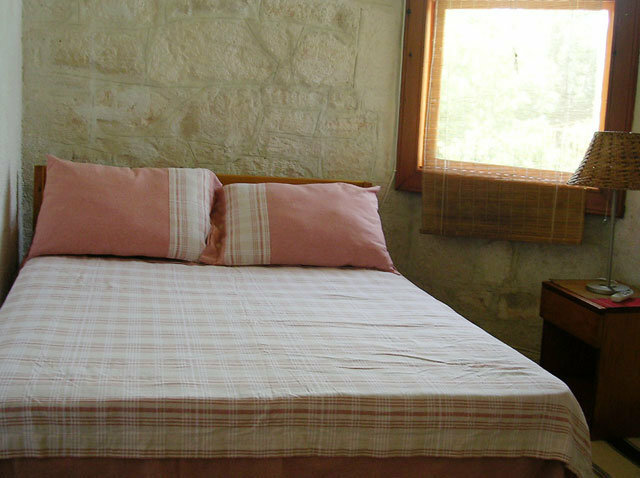 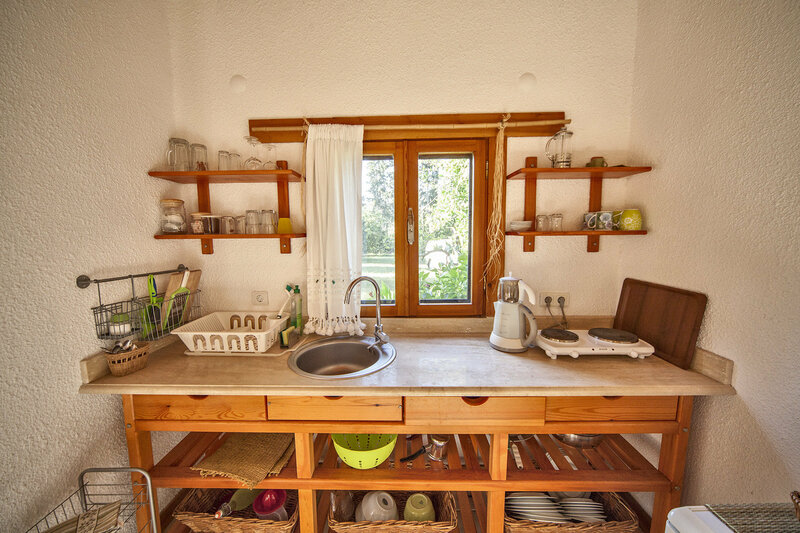 Stone House includes: two double beds and two single beds + air conditioning + window screens + hot water + refrigerator + electrical hobs + kitchen equipment. 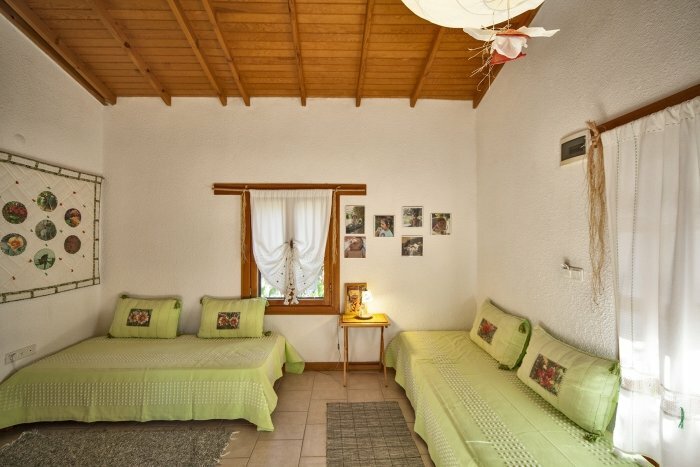 The Blue house is suitable for up to four people. 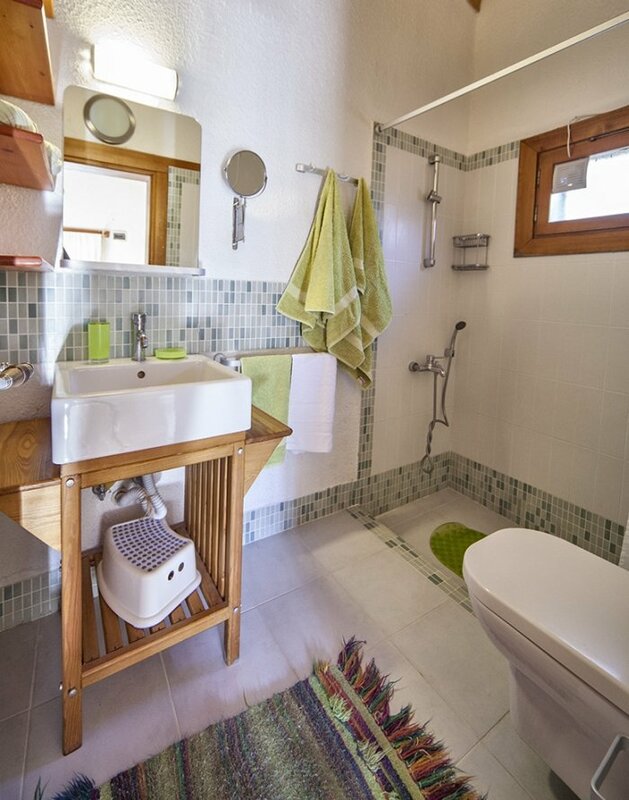 It consists of a double bedroom, living room with an open kitchen and two single sofa beds, and a bright bathroom with shower. 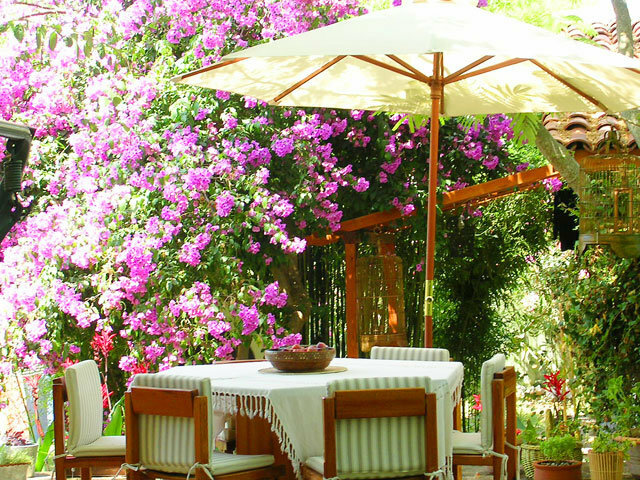 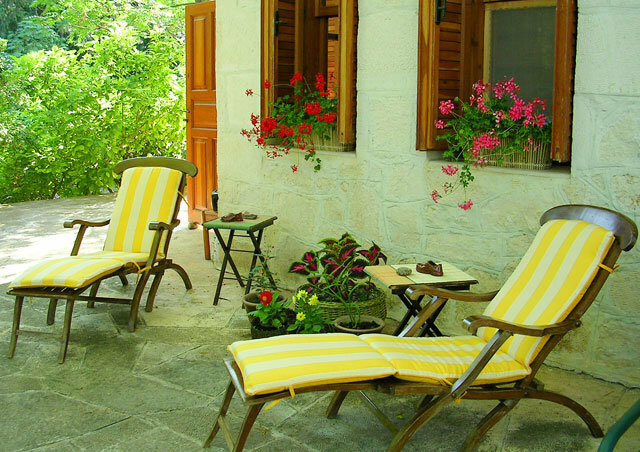 Outside, it has a private veranda with table, chairs, and sunloungers, all shaded by a large bougainvillea tree. 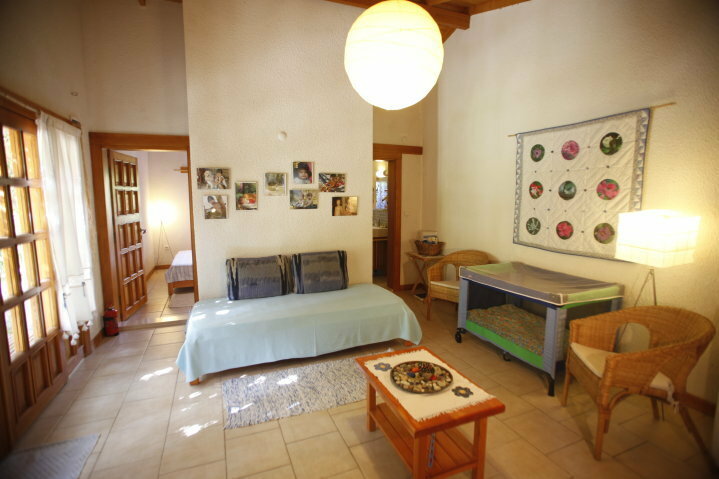 Blue House includes: one double bed and two single beds + air conditioning + window screens + hot water + refrigerator + electrical hobs + kitchen equipment. 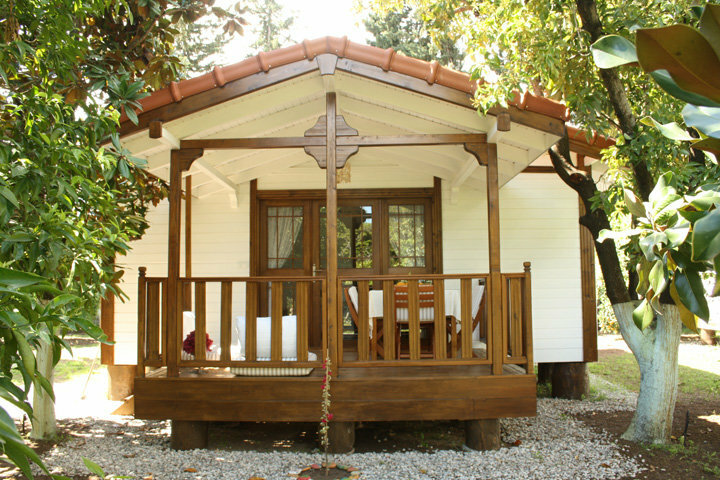 The Green house is suitable for up to four people. 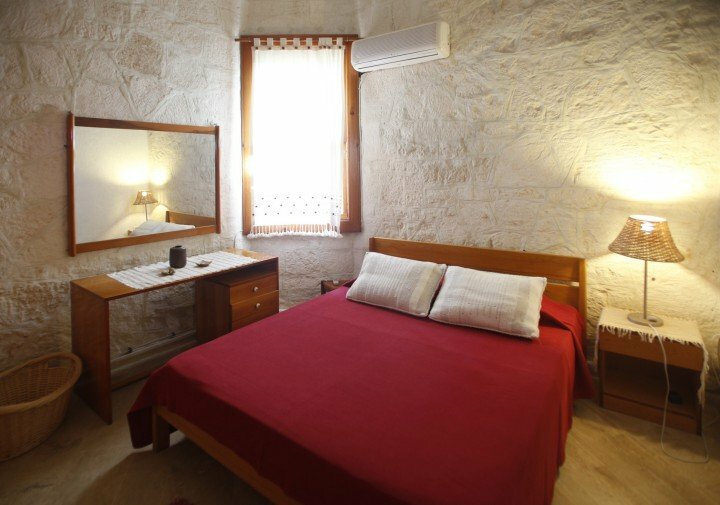 It consists of a double bedroom, living room with an open kitchen and two single sofa beds, and a bright bathroom with shower. 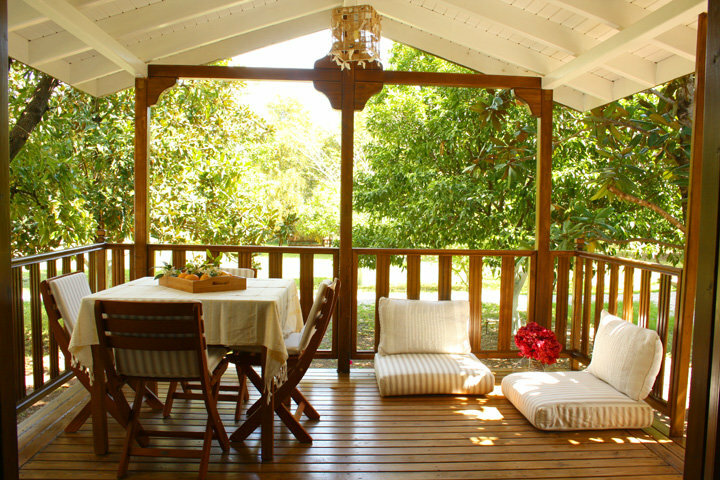 Outside, it has a private veranda with table, chairs, and sunloungers, overlooking the orchard. 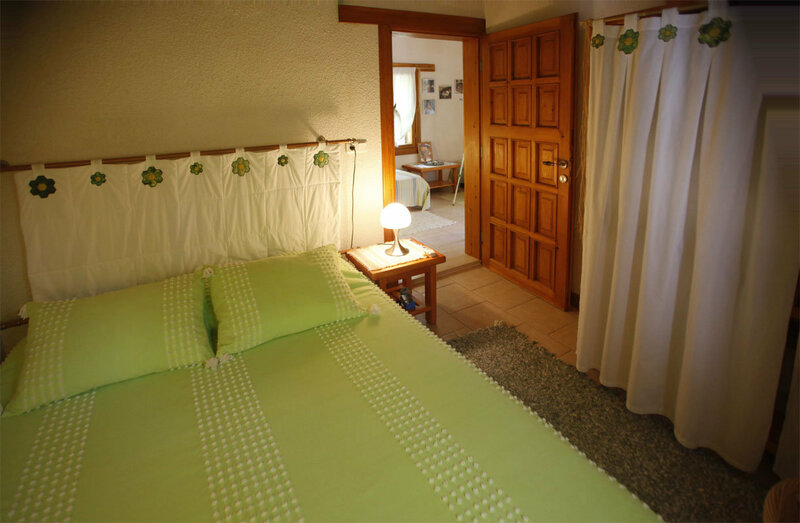 Green House includes: one double bed and two single beds + air conditioning + window screens + hot water + refrigerator + electrical hobs + kitchen equipment. 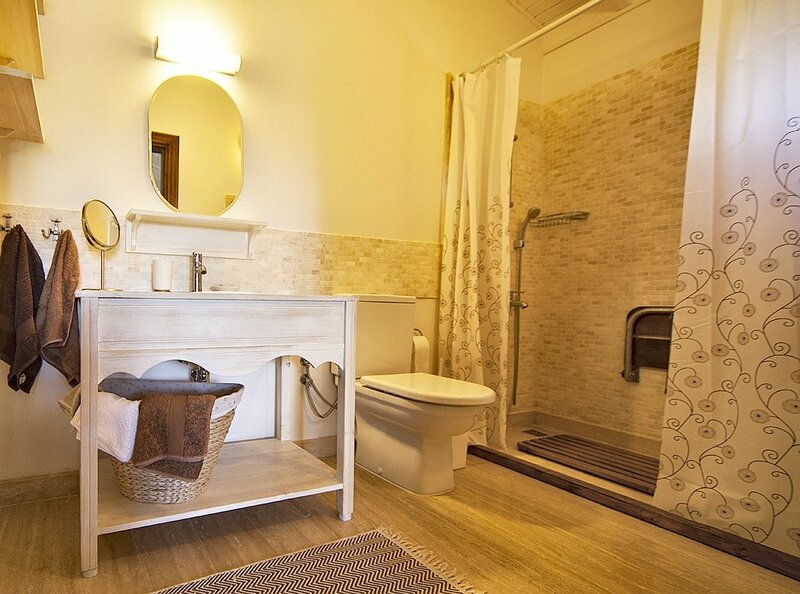 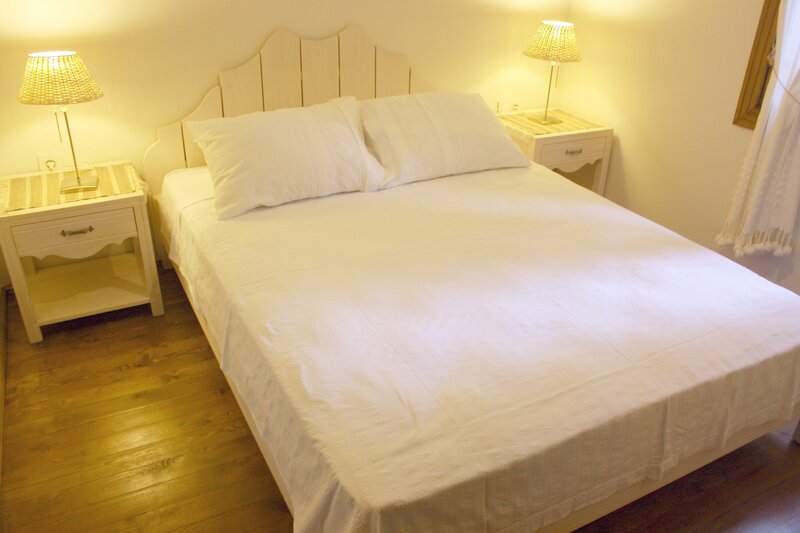 The White Houses are suitable for up to four people. 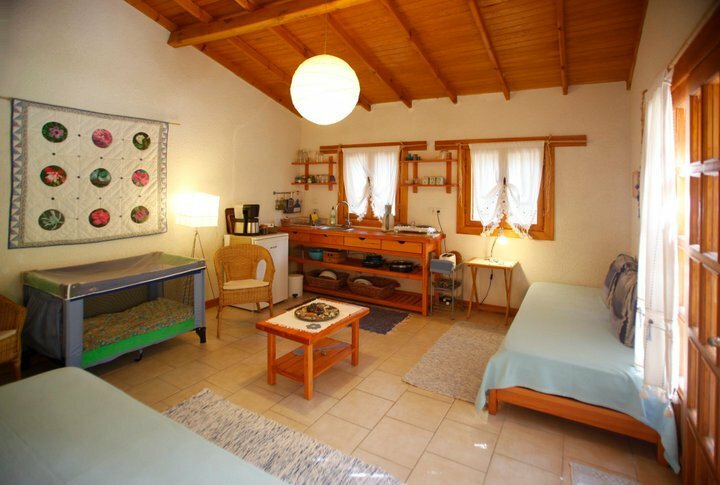 They consist of a double bedroom, living room with an open kitchen, two single sofa beds, and a bright bathroom with shower. 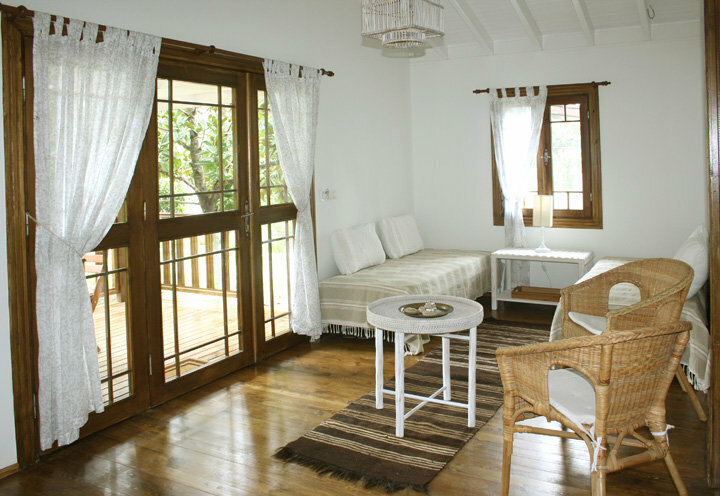 Each house has a private outdoor veranda with table, chairs and sunloungers. 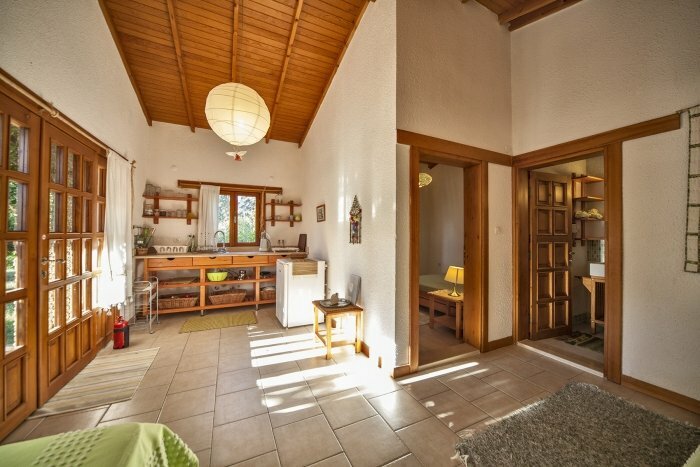 The houses are constructed of wooden beams that give off a fragrant pine scent. 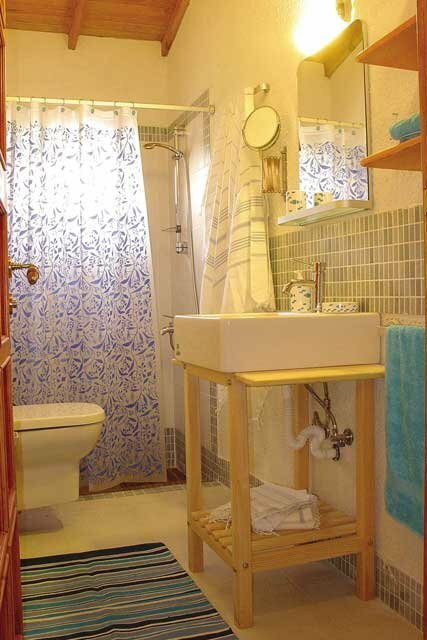 White House 2 also has wheel chair access. 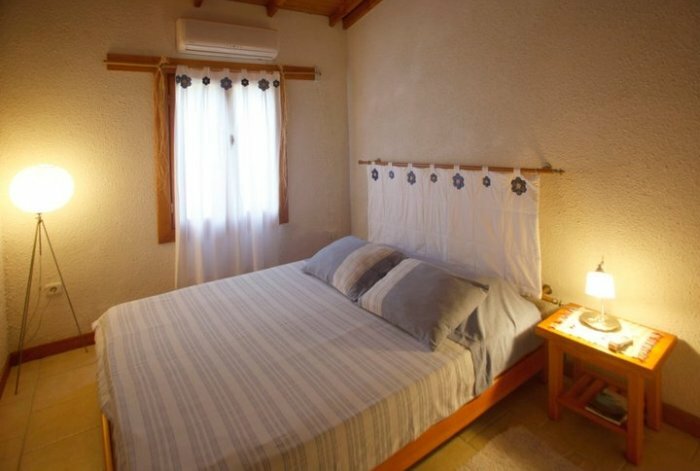 White Houses include: one double bed and two single beds + air conditioning + window screens + hot water + refrigerator + electrical hobs + kitchen equipment.